We create job boards and platforms for companies that work in hiring. This includes recruiting firms, job marketplaces and any business that wants to improve their job application experience. 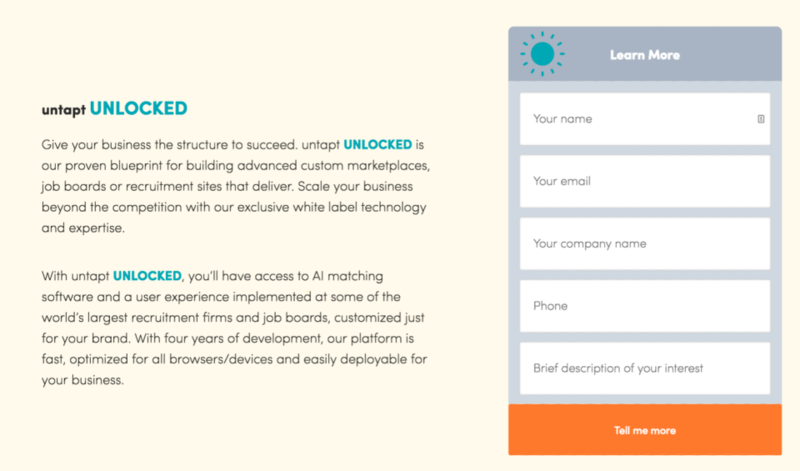 untapt UNLOCKED is our proven blueprint for building advanced custom job boards, recruiting sites and marketplaces. 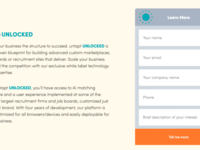 We build your personalized site from scratch, powering your hiring business with world-class features and AI-matching in as little as 2 weeks. 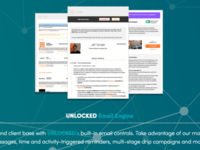 Our clients include everyone from international recruiting firms and VC agencies to startup niche job boards.